In order to ensure the recruitment of the National Security Service of the RA, education of the residents of the RA is also organized in Academy of Federal Security Service of the Russian Federation, Kaliningrad and Kurgan Border Guard Institutes as well as in Security Guard Federal Academy of Oryol which are military-educational institutions. After graduating from the Academy of Federal Security Service and Kurgan Border Guard Institute, the graduates get lawyer qualifications and graduating from Kaliningrad Border Guard Institute and Security Guard Federal Academy of Oryol, the graduates get engineer qualification after which start their service as officers in the units of the NSS of RA and Border Guard Troops. The duration of the education is 5 years. During that period the cadets are provided with a dormitory located on the territory of the universities, free food and scholarship. - Citizens with high school degree, 18-and-more-year-old but those who have been granted a deferment of military service. Conformity check of the health condition and medical examination of the candidates are carried out by the military-medical committee of the NSS of RA and it also includes the check of drug-addiction, alcoholism, sexual viruses and the existence of other diseases as well as psychological testing. The candidates also pass polygraph (lie detector) examination according to the established order. - Foreign language (oral)- Academy of Federal Security Service of the Russian Federation and Kurgan Institute of the Border Service. The applications are accepted from the 10th of January till the 10th of March. 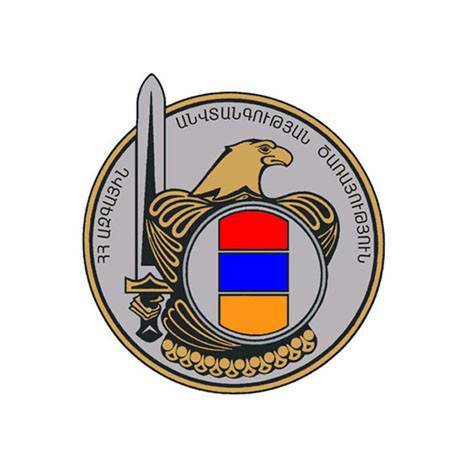 For detailed information you may apply to the RA NSS reception at the address: Nalbandyan104, Yerevan or call by phone number 010 58 90 89 or 010 57 91 With the questions related to the service in the Border Guard Troops: 010 36 35 24.